Prof Matthew Johnson and I have just received the fabulous news that we’ve been granted a Small Award from the British Academy to fund a pilot study of the Alan Sorrell archive. Sorrell (1904-1974) is an artist and illustrator who, during the mid-20th century, produced defining images of many of Britain’s most renowned archaeological sites (e.g., see Sorrell, M. 1981), and in so doing, arguably shaped the institutional and epistemological dimensions of British archaeology. With a neo-Romantic sensibility and a career that included employment by the former Ministry of Works, he stands at the junction between a series of potent intellectual concerns in the discipline—among others, between art and archaeology; academic and broader public consumption; discipline and imagination; and the scholarly establishment and governmental agency. Sorrell’s archive is currently on loan by his family to the Society of Antiquaries of London. Matthew and I will be studying it over the course of this upcoming fall and winter towards various ends, including the production of a small visual exhibition of work. Sorrell interacted with many archaeologists on and off site, and I would be keen to hear from those who may recollect such interactions. 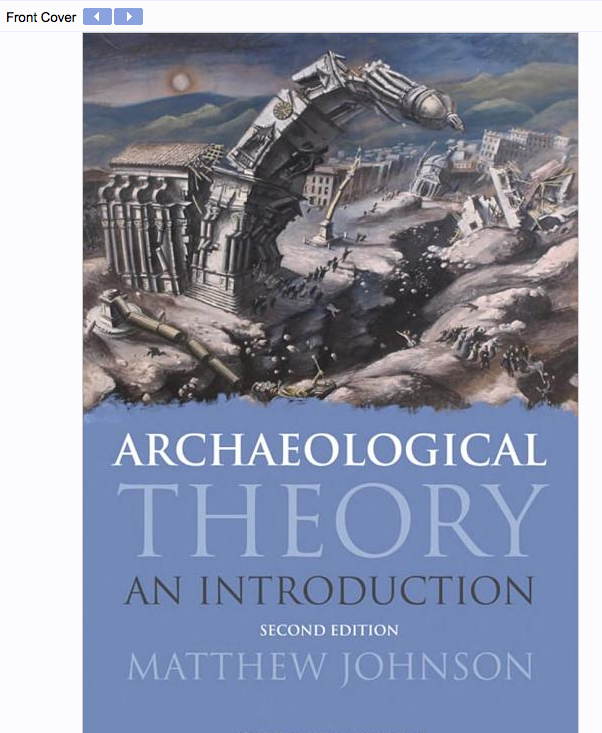 A screen shot of Alan Sorrell's Falling Tower, reprinted on the front cover of Johnson's 2nd edition of Archaeological Theory: An Introduction. SORRELL, M. (ed.) 1981. Reconstructing the Past, London: Book Club Associates. Next postObjects and Images, Visual Ethics, et al. That’s brilliant news! Sorrell’s drawings and paintings were an inspiration to a whole generation of budding historians, archaeologists, and the general “History-minded”. His reconstructions of Hadrian’s Wall and its forts, defined in my mind as a child, the look of the Roman North of England. I studied his pictures at University while training to become an archaeological illustrator myself. I admit his work still has a huge influence on my style even today. Lucky enough to own an Alan Sorrell watercolour of Housesteads Fort on Hadrian’s Wall and a pastel sketch of the south entrance of same fort which I inherited from my father, a church architect, who bought them directly from Alan in 1974 (I think). Thanks, Stephen — this is great to know. We’ve been hoping to build up a resource base of information on where some of Sorrell’s materials were circulated (and where they now reside). I hope we can keep in touch! My pleasure – hope the archive goes well. I have been impressed and moved by what little I have seen of Sorrell’s work and would be interested to know about any exhibitions, books or published articles featuring his work.